WIP’s and Chains Excite Me. I have a lot of WIP’s right now. It started with a scarf, that I still haven’t finished. 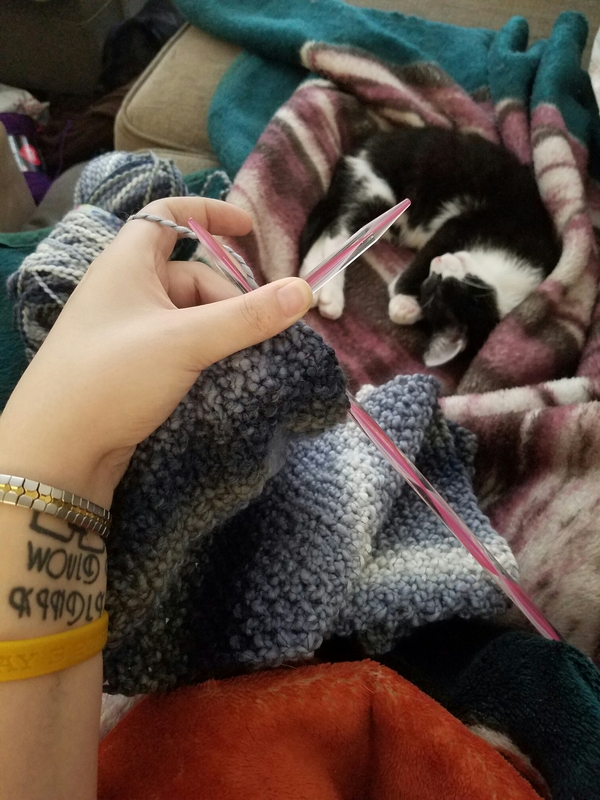 My kitten was helping by distracting me from my knitting. I still love her though. 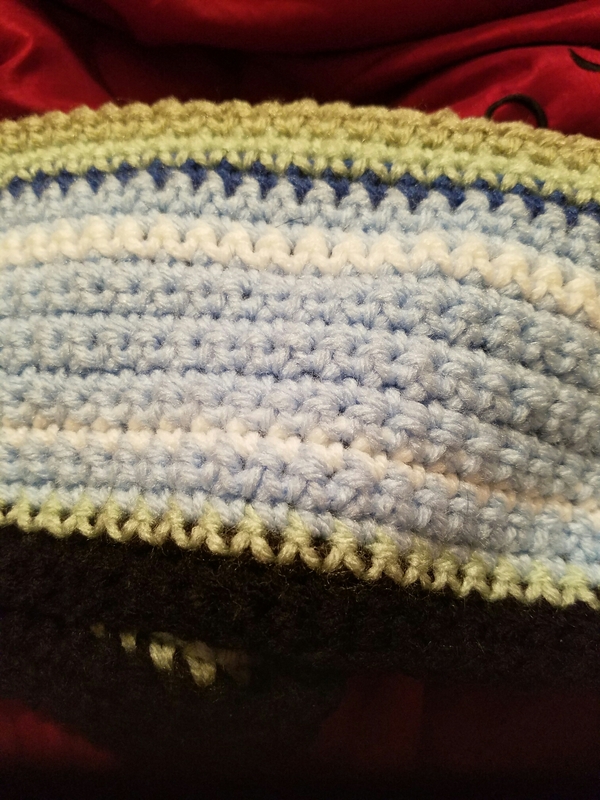 I’m still working on my temperature blanket. We’ve been having some unusually warm weather and so I’ve been able to put a few colors into play. 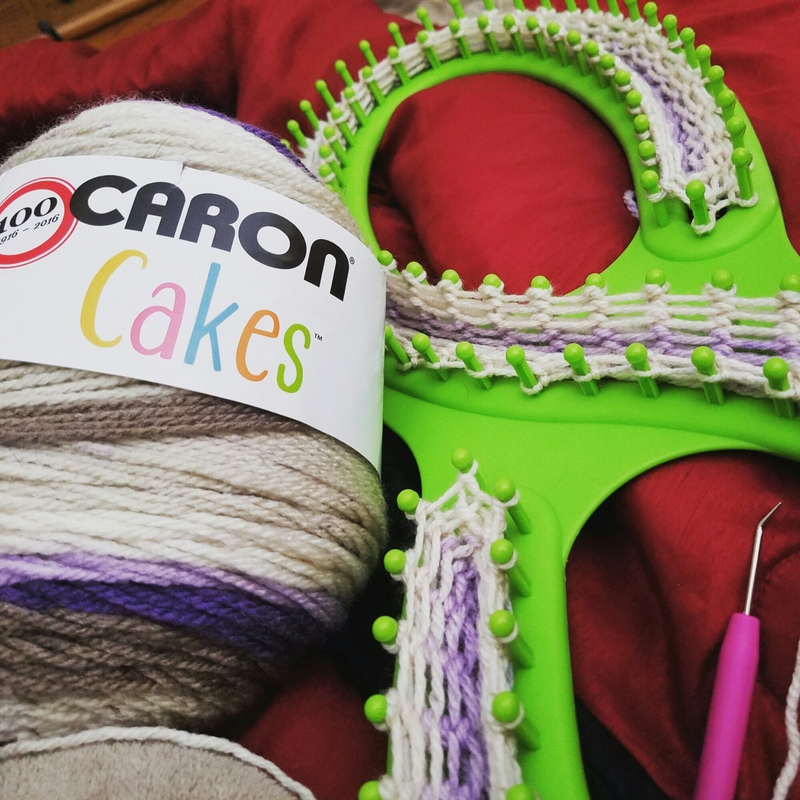 And while I was in bismarck this last Saturday, I stopped by Michael’s and picked up some Caron cakes. Now I’m working on a loom knit blanket. I’m excited to see how it turns out. That’s all for now. Happy knitting.